Bear with me here, because I might go off the reservation a little bit. There were two moments in the 12th round of the Saul "Canelo" Alvarez-Gennady Golovkin rematch that illustrated how Golovkin could have made Saturday's fight much easier for himself. During the tense, final round, twice Golovkin backed off and started to circle away from Canelo. Both times Canelo raised his arms up and signaled to Golovkin, as if to say, "No, stay here and fight me." And like a docile pet responding to his master, Golovkin obliged, and the fight's ferocious combat continued. That Golovkin was compliant to Canelo's wishes reinforced a major strategic error made by both Golovkin and his trainer, Abel Sanchez. 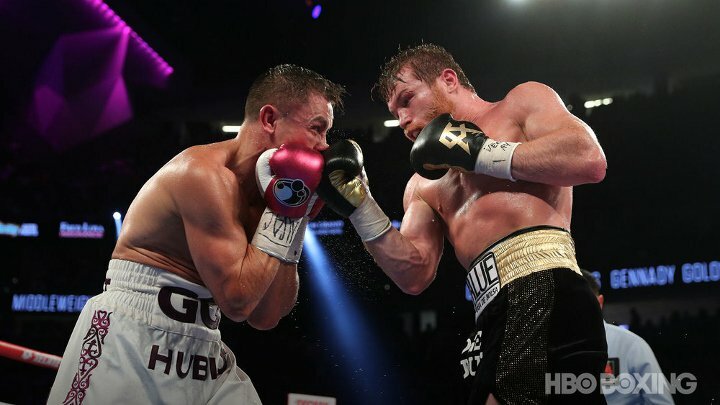 The reasons why Alvarez demanded that Golovkin fight him in the center of the ring were simple: he couldn't move laterally or push off with his back foot. Canelo, who had arthroscopic knee surgery prior to the fight, entered the bout wearing a sleeve on his right knee, the one used for planting and pushing off. It was clear from watching the fight, although unremarked by the HBO announce team (which generally had an awful night), that Canelo was dragging his right leg. Almost all of Canelo's weight was on his front foot. This is not his traditional boxing stance; he usually has perfect balance in the ring. Much was said about how Canelo changed his approach from the first fight, and he certainly did. Instead of countering off the ropes for large portions of a round, Canelo inched forward in the center of the ring and let combinations go. Gone were the big shots from the outside; the longer punches require more shifting in weight from the back to the front foot. Canelo fought entirely in the pocket and in close range. I'm sure that these changes in part could be attributed to a strategic decision – to be viewed as more of the aggressor in the fight. But I think mostly he fought in that style out of necessity. Let's examine fighting off the ropes for a moment. When a boxer has his back to the ropes, he uses his back leg to push off, steer and counter. The back leg bears almost all of the weight. Canelo spent no time in Saturday's fight doing this, again, partially because the optics of fighting off the ropes are bad for judges; it makes the other boxer look like the one initiating the action, irrespective of his success. But most importantly, one can't fight off the ropes if the back leg doesn't provide adequate stability. And to me, it was clear that that was the case. It wasn't just me who noticed Canelo's knee issue. I received a number of tweets throughout and after the fight about Canelo's knee (partly because I highlighted this factor in my preview article). I watched the fight with my brother-in-law who said without any prompting from me in the third round, "Look, he's dragging his leg." Between rounds when HBO's cameras focused on Golovkin's corner, Sanchez kept telling Golovkin to hold his ground and go for the knockout. Unfortunately for Sanchez, he got too caught up in the battle of machismo and didn't consider other options for winning the match. Ultimately, Sanchez (and by extension, Golovkin) was goaded into Canelo's fight. Sure, they may have wanted an all-out brawl in their first match last September. They might have thought that a slugfest favored them, but on Saturday, a different, clearer and perhaps less punishing avenue was available for the win. More than anyone else, Sanchez was constricted by the notion of "Mexican Style." 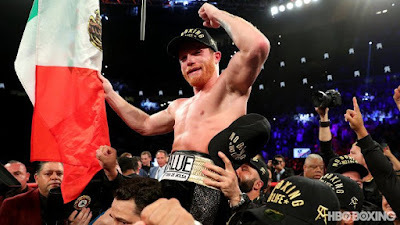 He should have adapted, perhaps even planned for a less mobile version of Canelo, and instructed his charge to fight in a way that could have provided a much easier road for victory. Although it's not Golovkin's preferred style, it's not as if Golovkin can't box and move; he did so beautifully against David Lemieux, using his jab and moving around the ring to win rounds easily before scoring a decisive stoppage. What Golovkin needed on Saturday was more of an "American Style” – that of the boxer-puncher. Once it became clear that Canelo couldn't move laterally, Golovkin should have circled Canelo with his jab and used angles to force Canelo to reset, which would have been exceedingly difficult for him because of his knee. The problem with any fighter who places too much weight on his front foot is that he can only move in straight lines. Try standing up and shuffling side-to-side with your weight equally distributed among both feet. Now shift you weight to the front foot and the movement becomes much more ponderous and far less fluid. Had Golovkin incorporated more elements of traditional boxing into Saturday's fight, in all likelihood the event would have turned out to be far less enjoyable than it was. But you know what, a boxer's first duty is to win. If the crowd boos, then so be it. Truly versatile fighters and trainers pick the style that affords them the best chance to win. Talents such as Mayweather, Crawford and Lomachenko could beat an opponent any which way. Unfortunately for Golovkin, he and his team suffered from a lack of imagination and remained captive to their notion of machismo and "Mexican Style". As a reminder, Golovkin was an Olympic silver medalist and possesses one of the best jabs in the sport. He illustrated on Saturday that he could certainly be successful boxing off the back foot. What was missing was the right instruction from his corner and the recognition that something different might be better. Nevertheless, I still thought that Golovkin won, even fighting Canelo's fight. I had him winning seven rounds to five, or 115-113, but certainly there were enough swing rounds in the bout that the official scores (114-114, 115-113 Canelo and 115-113 Canelo) were defensible. Overall, it was an excellent, close, and well-contested fight. Perhaps the right man didn't win, but it's hard to argue that the judges' cards weren't within an acceptable range of conceivable scores. None of the above is meant to diminish Canelo's accomplishments on Saturday. Fighting with what I believed was a real handicap, he won the battle of ring generalship. In terms of geography, the action was right where he wanted it. Often controlling the center of the ring, he threw blistering left hooks, punishing right uppercuts, a number of dazzling combinations and some nifty counter jabs. Despite the surgery and the resulting post-operative physical therapy, his conditioning was far improved in the second fight. Perhaps by the ninth round his gas tank started to deplete ever so slightly, but he was having problems as early as the fourth in the first bout. In addition, Saturday's fight was contested in a far more grueling manner than their match last year. His conditioning was very impressive on Saturday. Credit also needs to be given to Canelo's head trainer, Eddy Reynoso. Years ago, Reynoso took a boatload of criticism, and justifiably so, for Alvarez's listless performance against Mayweather, where it was clear that the trainer had no "Plan B". However, as Canelo has developed as a fighter and Reynoso has gained additional experience against top opposition, Eddy's improvement has been vast. Canelo is now a fighter who can win a fight in close range or on the outside, with short single punches or free-flowing combinations, along the ropes or in the center of the ring, by cutting off the ring or by moving to evade pressure, leading or countering. In short, Reynoso has helped create one of the sport's more versatile fighters. In my final estimation of Saturday's fight, Golovkin and Sanchez helped to beat themselves. Against a slightly diminished fighter, they played into his hands. Perhaps they still should have won. Maybe three different judges could very well have given them the verdict. However, the type of fight that they chose to engage in left reasonable doubt as to which boxer was the rightful victor. As great as Sanchez has been throughout his career, Saturday's performance was a major failing and highlights his limitations. What was needed on Saturday was an out-of-the box thinker, a cornerman comfortable with making significant changes on the fly. As for Golovkin, he fought valiantly, if not necessarily intelligently. Saturday might have been his last big stage to shine. He proved his mettle and beat back those pesky whispers that he was somehow an old fighter. But what missing was some cunning, some cleverness, some craft. Golovkin will be remembered as one of true shining stars from his era, but he was so close to being something even more. Boxing's biggest fight of 2018 takes place at the T-Mobile Arena in Las Vegas on Saturday: the rematch of Saul "Canelo" Alvarez (49-1-2, 34 KOs) against Gennady "GGG" Golovkin (38-0-1, 34 KOs). Last year, the two elite middleweights fought to a controversial draw. Although it was a competitive fight, judge Adalaide Byrd's ludicrous 118-110 scorecard for Canelo marred what would have otherwise been an enjoyable night of pugilism. Most boxing observers had Golovkin edging the bout or at the very least fighting Canelo to a draw, but no one saw the fight like Byrd did. Originally Canelo and Golovkin were scheduled to fight again in May, but Canelo failed two tests for performance enhancing drugs. He was subsequently suspended for six months by the Nevada Athletic Commission. Naturally, accusations and recriminations ensued between the fighter camps, their defenders in the media and their respective fan bases. The usually mild-mannered Golovkin made numerous inflammatory statements about Canelo after the failed drug tests and it's clear that as they enter the ring on Saturday, there's no love lost between them. 1. What did they learn from the first fight? Both boxers left a little on the table during their first fight. Golovkin only intermittently went to the body. Alvarez didn't let his hands go consistently. Each fighter gave the other too much respect. The template for improvement is clear for both. Canelo needs to fight closer to three minutes a round. Hopefully he can trust his conditioning and give a consistent effort throughout the match. It was Canelo who closed stronger of the two in the first fight, which begs the question of where was that energy level throughout many of the middle rounds of the bout. Golovkin has a world-class chin, perhaps the best in boxing. He should trust it more. He was overly concerned with Alvarez's counters and while it's important to remain defensively responsible, he needs to remember that he can take a shot. Ultimately, neither boxer fought with full confidence last September. It will be interesting to see which one will be able to make the necessary physical and psychological adjustments to perform better in the rematch. 2. The elephant in the room. We don't know for 100% certainly if Canelo has been using performance enhancing drugs, and if he has, for what duration? Canelo claimed that the failed tests resulted from tainted beef, which has been a problem in parts of Mexico. However, his story was certainly not bought by many boxing observers. PEDs can provide a multitude of benefits during training camp and in the ring. They can help with endurance, cutting weight, adding muscle and recuperation, among other factors. If Canelo has been a frequent user of PEDs, how will he perform while fighting clean (he is now tested year-round by VADA)? We may never get definitive answers to these questions, but they are certainly worth considering during the fight on Saturday. After receiving his suspension, Canelo decided to have arthroscopic knee surgery during the down time. As recently as a few weeks ago, he was still sparring with a sleeve on his knee. This type of surgery is fairly routine for athletes, but the recovery period can vary. Naturally, if Canelo's knees aren't 100%, this can affect his mobility, his ability to evade shots and perhaps planting and throwing with maximum effectiveness. Of course he might also be completely recovered by fight night physically, but does he trust his knees 100%? Has he been training at less than full throttle as he recovers? 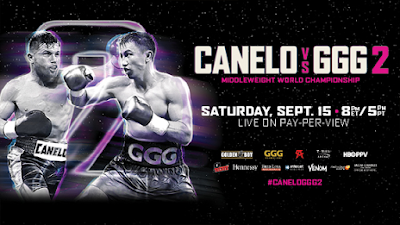 If Canelo can't move like he would want to, it is certainly possible that we get a much different fight on Saturday, one that could very much turn into a slugfest. And if he enters the fight with a sleeve on his knee, that would be a good time to place a last-minute bet on Golovkin. I don't wager on boxing, but my one rule is: never bet on the guy with a trick knee. At 36, Golovkin is at an age where elite skills often start to decline rapidly. More than a few observers noted that Golovkin didn't seem to be his menacing self against Daniel Jacobs and again when facing Canelo last year. Was that a function of age and decline or was it simply that he was finally fighting better opponents? Golovkin did have the superior work rate in their first fight, but decline could manifest on Saturday in a number of ways: Will his accuracy slip? Will he be able to pull the trigger when he sees openings? Can he counter as effectively as he had before? GGG has been through a lot of training camps throughout his career, in addition to hundreds of amateur fights. Although he hasn't been in many wars as a professional, he surely has experienced significant wear and tear on his body. Will Father Time be calling for him on Saturday or does he still have another elite-level performance in him? This fight might very well come down to which boxer will be able to take the necessary risks to win exchanges and secure close rounds. Their first bout featured a number of swing rounds (close rounds which legitimately could have been awarded to either boxer) and both fighters will want to win frames more decisively in the second go-round. To win, Golovkin might need to take a few more shots than he would like to. Canelo may have to increase his work rate beyond his typical comfort level. Both of these scenarios could lead to fatigue or getting hurt later in the fight. Although both fighters have a plethora of technical gifts, the match may be decided by desire. Which one will step on the gas? Who will consistently land harder shots? Who will decisively win exchanges? Most fundamentally, which fighter will want it more, and who will be willing to do what it takes to get the victory? The corners in this bout will play a very important role in goading their respective fighters to give more of themselves in the ring than they did in their initial foray. I scored the first fight 116-112 for Golovkin, although I believe that Canelo was the better fighter on a punch-by-punch basis; he just wasn't busy enough. I'm more than a little bit concerned about Canelo's physical health coming into the rematch. Even if there's a 5% reduction in his mobility on account of the surgery, that could give Golovkin a decisive advantage. Surely Golovkin will go to the body more in the rematch. He should have confidence knowing that he can withstand Canelo's best punches. I also think that Canelo will fight harder in rounds where he is having success, hoping to remove doubt from the judges. Ultimately, I don't think that Canelo will fight for three minutes a round over 12 rounds. He takes too many breaks and Golovkin will still have his jab and work rate to nudge ahead in rounds where there isn't sustained action. I believe that the rematch will resemble the first fight but with a more consistent attack from Golovkin. Canelo will impress at points in the match but will then retreat to his familiar lulls. At the end of the night, Golovkin will have his hand raised, having been the more consistent boxer in a competitive fight. Gennady Golovkin defeats Saul Alvarez by unanimous decision. This week's Punch 2 the Face Podcast highlighted the big Canelo-Golovkin rematch. Brandon and I gave our picks and predictions for the fight and its solid undercard. Doug Fischer from Ring Magazine joined us to give his perspective on the fight. Also on the podcast, we discussed Garcia-Porter, Superfly III and the new Top Rank-Frank Warren deal. To listen to the podcast, click on the links below. I appeared as a panelist on the most recent In This Corner show on the ESPN+ App, joining Chris Mannix of Yahoo Sports, Keith Idec of BoxingScene.com and George Willis of the New York Post. We previewed the big Canelo-Golovkin rematch and Friday's Jose Ramirez-Antonio Orozco junior welterweight title fight. You can watch the show via the link below. An ESPN+ subscription is required. 270 punches. Over 12 rounds, that comes to over 22 punches per round, not an insignificant number. That's the margin in which Shawn Porter out-threw Danny Garcia on Saturday. Those 270 punches represented a lot of time in the fight when one boxer was trying to accomplish something offensively while the other wasn't. More than anything else, the 270 can help explain why Porter won a unanimous decision over Garcia. It certainly wasn't landed punches, where despite Porter's superior work rate he only landed 12 more shots in the fight, according to CompuBox. Of course there's more to fights than punch counting. Saturday's match featured a number of close rounds. Overall, Garcia was more accurate on a punch-by punch basis while Porter was busier. Ultimately, the judges only agreed as a collective on four frames, suggesting a mind-blowing eight swing rounds. Occasionally there are bouts, such as Mayweather-Castillo I or Wright-Soliman, where the far busier fighter loses, but as a rule, when there is such a vast discrepancy in volume, usually the more active fighter wins. And in close rounds where it isn't easy to determine which fighter won, the busier one, when all else is equal, makes a compelling case for himself. I wanted to address the "when all else is equal" because I think that played a critical role in Saturday's fight. Many rounds were fought to a standstill. Garcia did significant damage with an overhand right at the end of the first round and hurt Porter with a number of hard shots in the third. Porter has a fantastic seventh round and generally asserted himself more in the second half of the bout. Yes Garcia landed his fair share of convincing power punches but Porter had his own successes with hard shots to the body. With the exception of the first round, Porter out-threw Garcia by over 20% in every frame. Some rounds like the 10th featured more action than others, but ultimately a concrete pattern developed. And it wasn't just Porter throwing more on aggregate, with a few big rounds here or there; he significantly eclipsed Garcia on activity each round. Taking Garcia's best blows with few problems and mixing in scores of hard body shots and clean jabs, Porter made a strong case for winning close rounds. But it should also be noted that the fight could have had another outcome with a different slate of judges. Don Ackerman (116-112), Julie Lederman (115-113) and Eric Marlinski (115-113) all scored the bout for Porter, but tallies on press row were mostly in the range from an 8-4 Porter win to 7-5 for Garcia (a guy next to me actually had it 117-111 for Garcia!). I ran a twitter poll on which fighter should have won and with over 400 responses Porter received 63% of the vote. Seventeen percent had it a draw while 20% had Garcia winning (I scored it a draw from ringside). If that poll is representative of how the public viewed the fight, certainly three judges could have been picked from the side that didn't see Porter winning the fight, and those scores could very well have been legitimate. Essentially fights like Garcia-Porter are coin flips once the judges become involved. 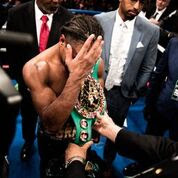 Porter lost a similar fight a few years ago to Keith Thurman, where all three judges had Thurman winning by 115-113 in a bout that very well could have gone either way. Garcia won such a fight against Lamont Peterson in 2015, squeaking by via majority decision while many in press row and watching at home thought that Peterson did more than enough to win. Flip a coin enough times and there will be wins AND losses. If one wanted to look for an example of a fight where conventional wisdom proved to be 100% correct, Garcia-Porter proved to be such a case. Garcia was sharper, Porter was busier, the fight was close, and the judges could have picked either guy. That the fight played so close to the script doesn't mean it was a disappointment. The Bond and Jason Bourne movies are all formulaic, but many of them are quite enjoyable to watch; formulas don't necessarily indicate mediocrity. 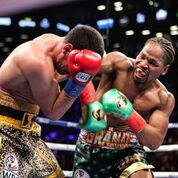 Garcia-Porter was a well-contested affair with both boxers proving why they have become world-level fighters, but also why they have struggled against their best opponents. Garcia can land his counter left hook and right hand against any fighter. He does some crafty things like throwing a variety of right hands and a sharp counter jab. But he can be outworked and he only seems to fight at one pace. He lacked urgency in many of the early and middle rounds against Thurman. In the championship rounds on Saturday, he landed his fair share of solid power shots, but he didn't fight with an extra gear. Although he made a case for winning the final rounds, his case left doubt. Porter is a top effort guy and fights in a style that few want to face. Featuring all sorts of grappling and mugging on the inside, he exerts significant psychological pressure on his opponents. He goes to the body well with his left hook and his devotion to landing downstairs provides opportunities to land clean head shots. But Porter's defense can be exploited by sharp punchers. In addition, there is still a feeling where he and his team are not 100% committed to pressure fighting. Take the first two rounds of Saturday's fight for example. He stood at range and got very little accomplished. It was clear to see that Garcia was better from that distance. After the fight, Porter was asked if he was pleased with how the bout started and he answered affirmatively that he had executed the plan. And what a strange plan that was! That decision could very well have cost him the fight. Porter had an extensive amateur background and possesses a fundamentally strong boxing base, but he has only made inroads at the top level of the welterweight division as a pressure fighter. He lacks the height and other physician dimensions to win consistently with another style; he certainly tried every conceivable ring identity on his way up the ranks as a prospect. Sure, there is value in versatility but that only helps if it can lead to winning fights. Yes there may be points in a bout where Porter may need his boxing foundation to take a round off or protect himself when hurt but when he's not fighting in an aggressive style, he's not winning. It usually is that simple. Ultimately, Garcia and Porter are at best foils for the truly elite. They can present problems for top opponents but the best should be able to solve them. However, let's not bury them either. Both are honest fighters who give a professional effort every time that they are in the ring. They produced a solid account of themselves on Saturday with the crowd rising in applause on multiple occasions. So Garcia and Porter may not be destined for the top echelon of the sport. That's OK. There is more than enough room in boxing for the very good.